The TexUns Gathering is much like a family reunion, but even better! It’s a celebration of living and learning naturally. Whether you’ve attended each year or you’re brand spanking new, the connections made during the weekend run deep. Everyone who attends quickly sinks into the relaxed feeling of belonging. And to make it more affordable to everyone, we’ve simplified. Registration is only $50 per family/$100 at the door. We believe that all children deserve the right to evolve into who they were born to be rather than be shaped into what someone else believes they should be. Our deepest wish is to provide a community in which we can support each other in living inspired lives filled with joy. Join us as we listen to speakers and participate in the popular informal chats and discussions. Hang out with us at the pot lucks, happy hours and other fun family events. Join your kids at the bouncy pillow, or by one of the three pools. Practice your stroke at the putting green. Or participate in any or all of the fun activities that we’re organizing for 2017. Bring your computer and/or handheld devices and play popular video games in the Great Lodge. And the nightly activities like the Talent Show and Fashion Show are just plain fun. If you need a rest from all of the activity, how about sitting out on your porch and enjoying the scenery, while your burger cooks on your personal outdoor grill. 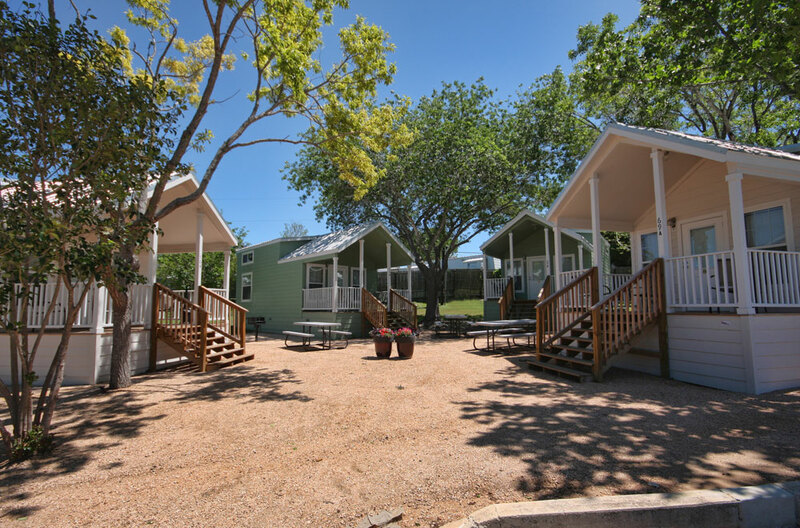 Since our host, Hill Country RV and Cottage Resort, is in a natural setting, our kids are free to roam and play both indoors and out while parents attend discussions, relax or roam with their kids around the resort. We look forward to seeing you and your family at the 2017 TexUns Gathering! Start planning now! Dates are April 20 -24, 2017. We’ve reduced the registration fee substantially to make it affordable for almost everyone. We’ve eliminated some of the activities that were very supplies heavy and labor intensive in an effort to making planning easier and help more families be able to attend. Check out the cabin/rv options and special rates for TexUns here. Learn more about our Vision and Guiding Principles. We will utilize the voices of season unschoolers that live in Texas and want to attend our gathering. We won’t be flying in or paying expenses for speakers. The Pancake Breakfast will be replaced with a morning potluck. Instead of Primping time, parents will get their kids ready for the fashion show. We will not be supplying check-in “goodie bags”. We will ask that each family bring their own paper goods (paper plates and such) to the potlucks. We have some awesome unschooling parents who will lead informal chats and discussion circles. Check those out here. Want a taste of the TexUns experience? Watch these videos to catch a glimpse of all the fun.